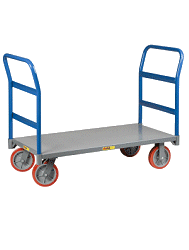 If you need heavy duty we have the right heavy duty hand truck for your needs. Heavy Duty Hand Trucks will enable you to move those ultra heavy items like safes, appliances, and any oversized equipment. Heavy Duty Hand Trucks can save your back and make sure you move heavy items safely!